Welcome to Pipeline Mechanical's Residential Division, your source for indoor comfort solutions! We offer a full range of air conditioning, heating and indoor air quality products, outstanding on-time service and repairs, knowledgeable replacement advice, and quality new installations. 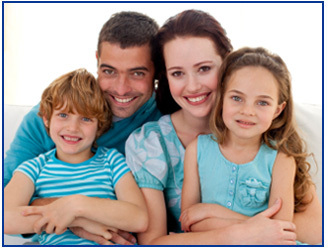 Our goal is to ensure that every customer receives exceptional service and reliable products. We specialize in energy efficient air conditioning installation, repair, preventative maintenance and complete system tune-ups. We work hard to ensure that your experience with the Pipeline team is flawless. For over 20 years serving Central Florida, our reputation has been built on quality service and top-notch technical expertise. 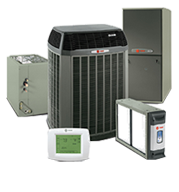 In fact, we're an independent Trane Comfort Specialist™ dealer. This certification means that Pipeline Mechanical is of the highest standing and committed to being the best in every aspect of our business, from installation and service, to customer satisfaction and employee training. Not every heating and air conditioning dealer qualifies as a Trane Comfort Specialist™, but rather only those that meet Trane's stringent standards and demonstrate a commitment to customer satisfaction and continuing education. We are committed to training to keep up to date with the latest technology, ensuring that you receive a system that is designed to achieve maximum efficiency, reliability and comfort - and a system that delivers the efficiency its ratings promise and you expect.